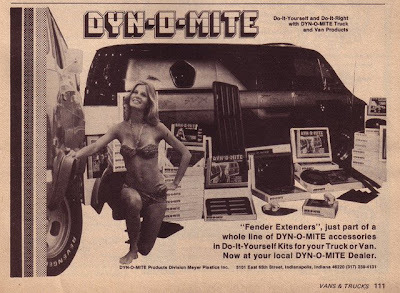 There was something about the 1970s and the word "dynamite" (or its alternate groovier spelling "dyn-o-mite") that just went hand in hand. It was in a catch phrase, a movie, a magazine, a reggae band, a van accessory - it seemed we couldn't get enough of this eight-lettered word. 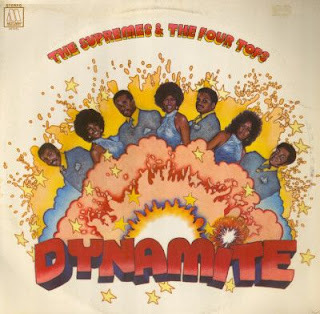 First of all, when I hear "dynamite" I think of two things - Jimmy Walker and my favorite childhood magazine. (1) J.J. Evans on Good Times had perhaps the greatest catch phrase of all time. 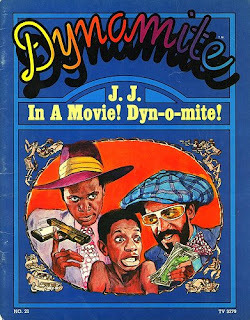 The hyphenated "Dyn-o-mite" was delivered with such gusto that 70s audiences gobbled it up and begged for more. I personally craved a J.J. "Dyn-o-mite" like it was crack rock - my insatiable thirst had to be met week after week or I became withdrawn and erratic. (2) The incredible kids mag called Dynamite. I'll refrain from fawning all over it here - Dynamite memories are in abundance on a previous post. In the magazine below we are treated to a double dose of dynamite - Dynamite magazine with J.J.! Two dynamites for the price of one. It simply can't get any better than this. 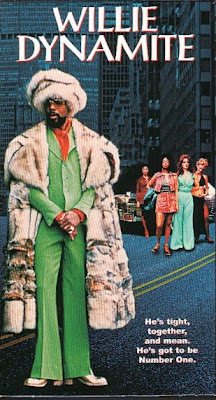 Pitiful pimp Willie Dynamite (Roscoe Orman, who played Gordon on TV 's Sesame Street) is having a bad week. Rival pimps are putting on the squeeze, cops are on his tail, the IRS is sniffing around, a reformed prostitute (Star Trek 's Nichelle Nichols) is trying to unionize his girls, his sweet purple Cadillac Eldorado keeps getting towed and his fur-lined phone is ringing off the hook. Good thing his tailor has him threaded up in an outrageous wardrobe that will knock your socks off. Read a full review at This Distracted Globe. 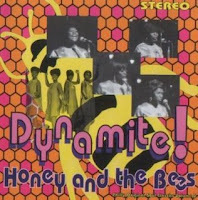 There was actually a band called the Dynamites. They were an early reggae band - check'em out here. However, to me "dynamite" + "music" will always = K-Tel's Dynamite and Disco Dynamite compilation albums. 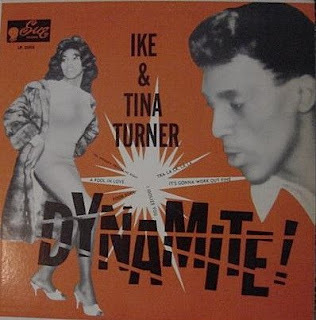 Those with more discerning tastes will probably think to Ike and Tina's Dynamite! record. 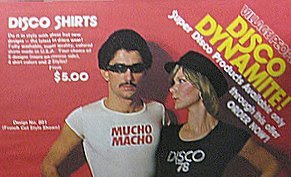 This dynamite disco advert from an incredible collection of record advertisements found here. Hell yes! How can this film be anything but solid gold? 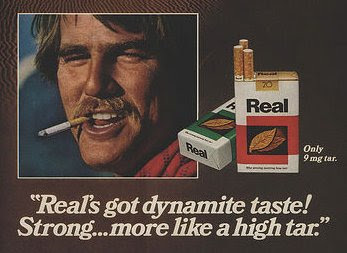 Anyway, I think I've made my point: If there's any word that describes the 1970's it's gotta be "dynamite". Which begs the question, what would be the word that best describes our current decade? And then there were 'Dyn-a-mints'. They were in a tic-tac like case, but it was bigger. I liked their fruit flavors the best. I don't know if they still sell them or not.. Anyway, a squeezed a Dynamint pic into the post. Thanks for the reminder! Zibbs, I'm so glad you stopped yourself. That exercise in self control was DYN-O.... dammit! Oh, I haven't seen Dynamints in years! And never linked the name to the word which was, of course, all over the media...seems obvious now. What a great post! I love the word "dynamite." I am a huge fan of J.J. and "Good Times." I watched that show religiously as a kid. I still like it. I am really ready for that movie "Black Dynamite." It looks awesome. Saw Jimmie Walker on TV recently and he said he refuses to say...you know what...unless somebody pays him a LOT of money! Well, but now I really want to know what the going rate for getting Jimmie Walker to say "Dyn-o-MITE!" is... You know, for someday when I have lots of money to waste on things like that. Lidian never told me my posts were great.... well, that's okay. I can take it, I'll be fine..
Current decade? How about "WTF?" And don't forget that sportscaster kid bringing it back with "Boom goes the dynamite!" Now playing: Bazuka - Dynomite! 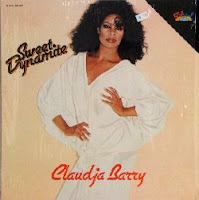 Where the jubilant "Dynamite" fit perfectly in the 70s, "WTF?" would indeed make a good catch phrase for today... mocking and patronizing - just like all the reality shows. Good one, Shawn. "flooded the ghetto with adulterated malt liquor." How freakin' hilarious! This would have pissed off many of the brothers I knew in the Army. I just saw a live performance of Cinematic Titanic, which is made up of MST3K veterans, and the movie they riffed was Dynamite Brothers, a really low-budget Kung-fu Blaxploitation movie from 1974.